"It's hard to talk to people, it's incredibly hard," 14-year-old Genevieve said. "People just say, 'Oh you're being bullied speak up, talk about it go to a counselor.' But it's not that simple." Children and teens targeted by bullies say they're sometimes embarrassed to talk about it, worried about a parent's reaction, or even think they deserve it. Just because your child doesn't speak up about bullying doesn't mean it isn't happening. It’s normal for kids, especially teens, to put some distance between parents. But keep an eye on if your child is disconnecting from previously enjoyable social situations. We’re not talking about talking back typical teenage angst. If your child is experiencing mood swings, appearing depressed or teary, or is uncharacteristically angry, this could be sign of a bigger problem outside the home. Bullied children can sometimes flip roles and become the bully, especially with younger siblings, in order to feel empowered and in control. This includes students who frequently visit the school nurse or ditch school, too. Take a look and see if there is a pattern to the absences. It could be a way your child is trying to avoid a particular person or situation. Depression can often cause physical pain. Chronic stress and anxiousness can also lead to sleep problems, nightmares and even bedwetting in some children. Suddenly skipping meals or binge eating can be an indication that something is wrong. Bullies also tend to extort other children by stealing their lunch or lunch money. Ripped clothing could be a sign of physical bullying. Missing toys, school supplies or money may indicate your child is being pressured to give up their possessions unwillingly. Immediately notify school officials if you notice new or unexplained cuts, bruises and scrapes. 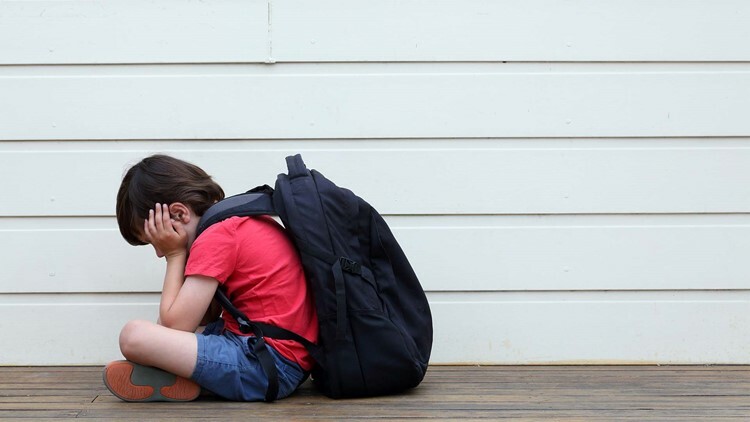 Be aware if your child is suddenly clingy during drop-off, before leaving for the bus or asks for you to be there immediately after school dismissal. There are many different kinds of bullying. Some of it's obvious, and some of it's more subtle. Bullying is always an intentional, aggressive and repeated behavior that involves an imbalance of power or strength. Stompoutbullying.org has dozens of resources for both parents and kids on how to deal with bullying.